Creative ideas can come from unusual places. The basketball court, your patio or even the kitchen can bring inspiration at times— you just need to go and look for it. Many times, creative blocks occur because you’ve gotten too used to your work environment. Keeping a journal helps you keep your thoughts somewhere that you can look back on them. Write about what’s going on in your life, overheard bits of conversation, or anything else that comes to mind. It’ll help you clear your mind, and when you look at it later, you may find some new inspiration. Try a different creative endeavor. If you’re blocked while writing, try drawing or dancing. Just do something completely different from what you usually do, and it’ll not only entertain you, but it might reignite your creative spark. If you’re a artist, try doing some photography on the side. If you’re a writer, try your hand at a different genre, or try writing poetry instead of novels or articles This can help reduce your block and may inspire other ideas. Many creative types tend to neglect sleep, and you might have trouble sleeping while worrying about your creative block. Unfortunately, your writer’s block could be because your fatigue, so getting a good night’s sleep might help. 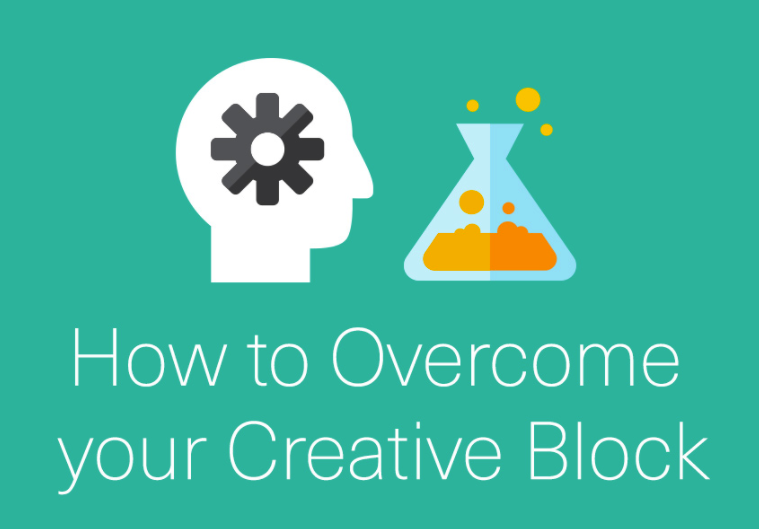 A consistent routine can help you overcome creative blocks. Even when you feel that your imagination has run dry, just keep on with your day — it’ll be easier to overcome blocks when the creative moments are part of your routine, rather than if you wait for inspiration to strike before you start working. Everyone’s different, and what works for someone else may not work for you. Sometimes finding a solution takes work, and a lot of trial and error. With these tips, hopefully you’ll find what works for you, and you can get back to the creative endeavors you enjoy.